Where is Gold Leaf Designs located? I live in another city or state. How can I get my order? What exactly does Gold Leaf Designs do? Why are there no prices on your products? 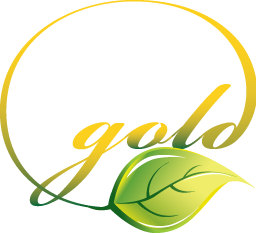 While Gold Leaf Designs is primarily an internet company and not defined by a specific area of service, we are located in the heartland of America in Greenfield, IN. If your business is in or around the greater Indianapolis area, you will receive very personalized attention and face-to-face interaction with our design staff. However, we still offer the utmost in professional sales and design to all our customers no matter where they are in the United States. Gold Leaf Designs is proud to offer "drop shipping" directly from our printers to you! So, no matter where you are in the 48 continental states, you can get your order shipped directly to you within a reasonable amount of time. And since we have printers on both coasts, and offer both UPS and FEDEX shipping, you get the quickest and best price. Shipping is always included in your price, so you won't be surprised with an additional cost. We are a premier graphic design, printing, and marketing company. We specialize in offering our clients the best in design, product, and service while giving the best price for all our services! Graphic Design Services, from logos, presentation layouts, and advertising composition. Printing Services. If it can be printed, we can do it. Everything from business cards to pens and wearables are now offered through our products line. And we are always adding more as we make deeper connections with new vendors! Just ask, and we'll get it done for you. Marketing Services is rather a broad reference to getting your name, business and brand out in your community and recognized. We can help create marketing programs, advertising, and direct mailing pieces that promote you and target the audience you need to grow your company. Because each order is custom created for our clients, we cannot list our prices, but we do offer a free estimate based on the parameters of your order. When you see the prices, you will be surprised at how much you are saving on a quality, custom created printed product made just for you. We do list the pricing of our monthly specials, since these are preset parameters, and quantities. But rest assured, the price you get for your project is the best possible price available. It's just our way of meeting and exceeding your expectations in price!